Sara Croymans began her career in Extension 26 years ago as a Youth Development educator and for the past 20 years has been with the Center for Family Development. 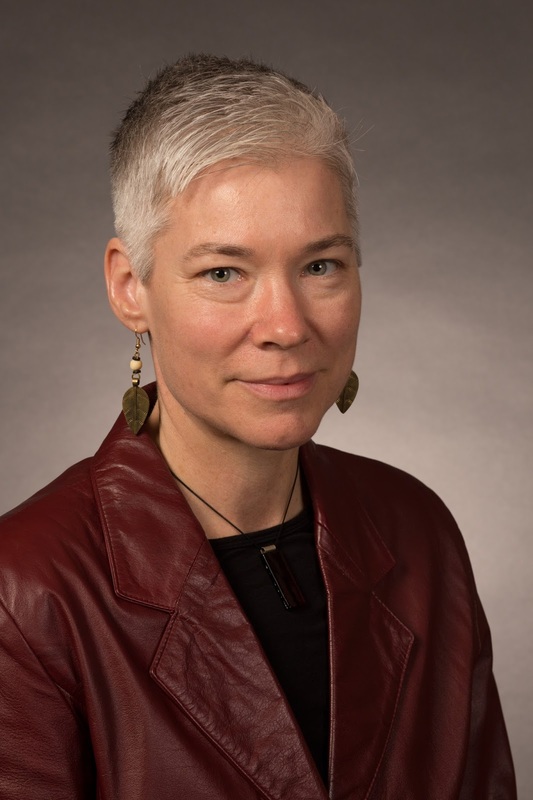 Sara has been a co-author of journal manuscripts and a book chapter and presented at national conferences. 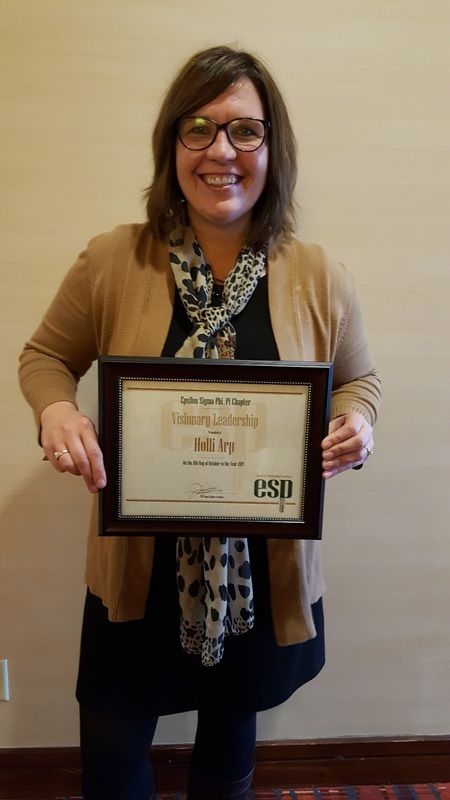 Sara engages with communities and participants to provide programming on military family transitions, disaster financial recovery, and financial capability with a variety of participants.She has served as ESP Pi Chapter newsletter editor, secretary and currently as Treasurer. International Service Recognition recipient is Nathan Winter. Nathan has developed relationships & connections in Kisii, Kenya where he traveled and educated women about business plans for the village owned corn milling machine, sewing center, phone charging stations and a potential well construction. Nathan used his Extension skills to build vibrant businesses in the village of Kisii. Congratulations Nathan and thank you for broadening the Extension reach around the world! 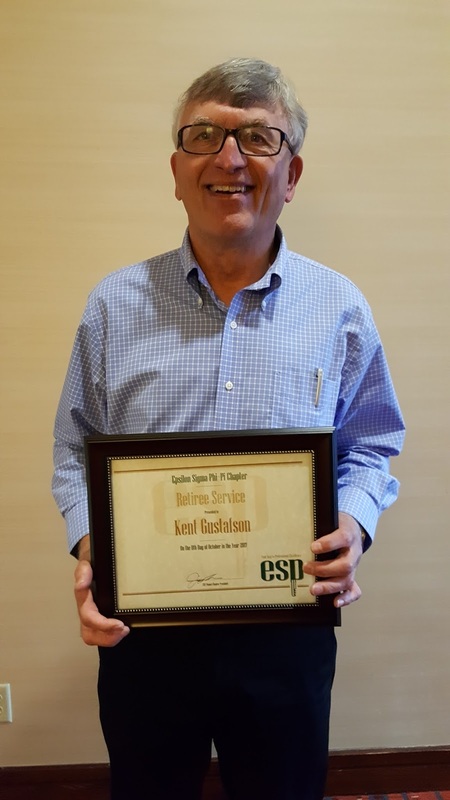 The Retiree Service Award recipient has been an asset to Extension both during his career and in his retirement. 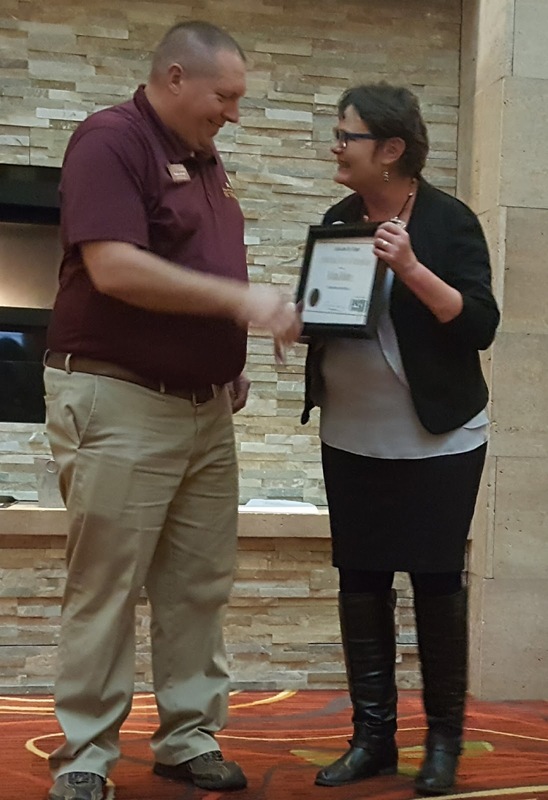 While in Extension he wore many hats from county agent to District Director to Director of Field Operations to Chief Financial Officer and he was a champion for Extension work. 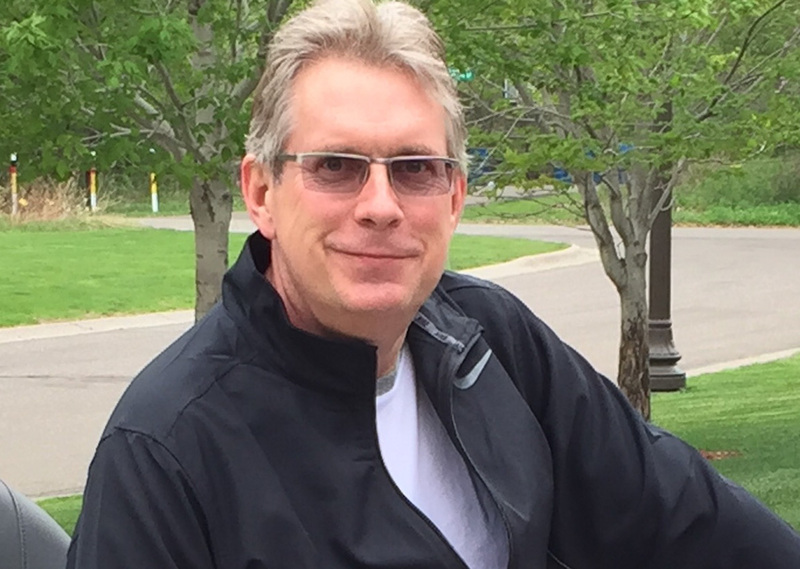 In his retirement, David Werner accepted the position of Scholarship Chair for the MN Pi Chapter. 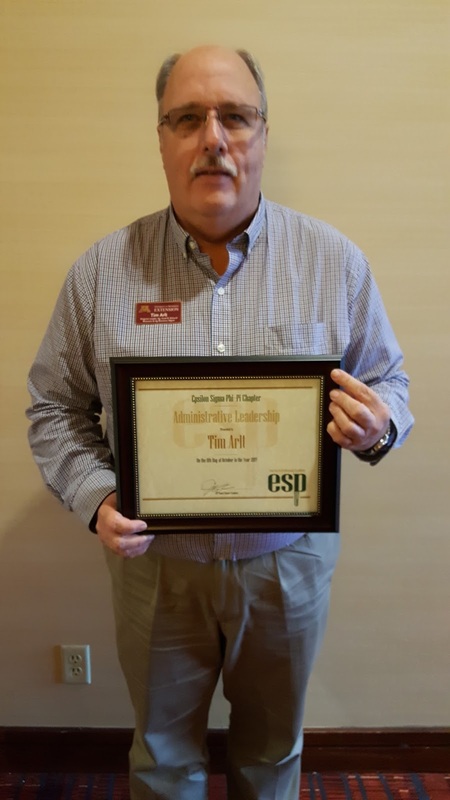 He has used his financial expertise with the MN Extension Workers Scholarship Fund which provides over $5,000 in scholarships annually to ESP annual and life members for professional development. David and the committee have created a new annual member incentive program encouraging new members and clarified the frequency of application for scholarship funds. David is proof that you can continue to serve and give back to Extension after retirement! 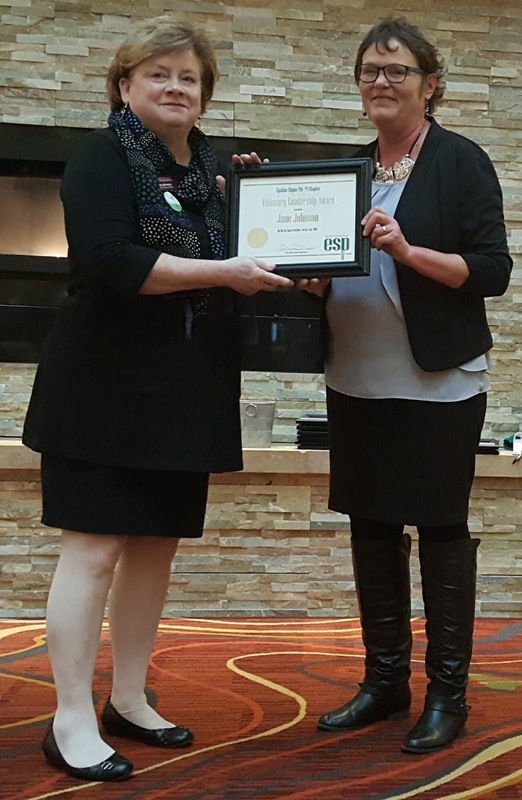 The Visionary Leadership Award is presented to Jane Johnson, University of Minnesota Extension and Minnesota 4-H Chief Development Officer. 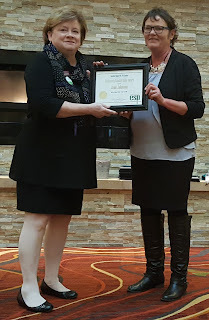 Jane directs and oversees all of Extension development efforts and through her leadership, she has devised new fundraising strategies and initiatives leading Extension forward in new directions including fund campaigns to support Extension strategic initiatives and emerging priorities. 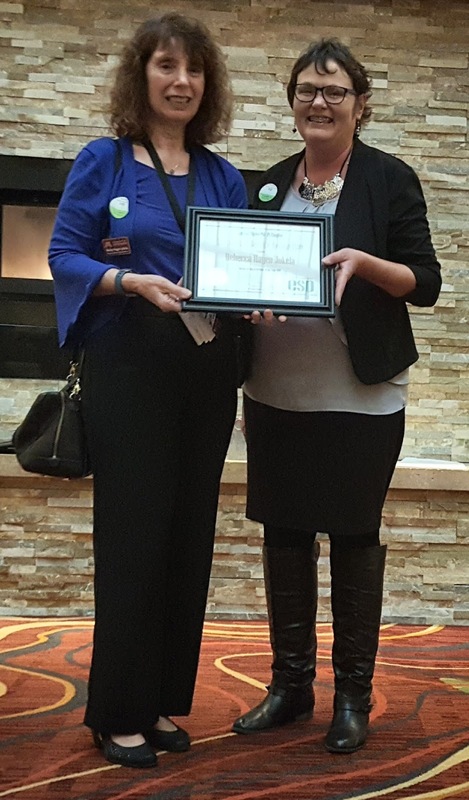 Jane works closely with donors who want to invest and support priority initiatives and annual 4-H scholarships. 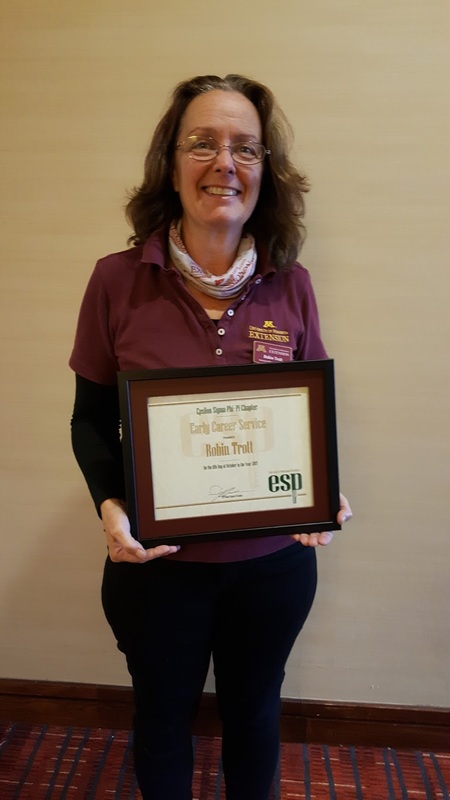 Thank you Jane for working across the state to develop donors to continue Extension’s mission long into the future. 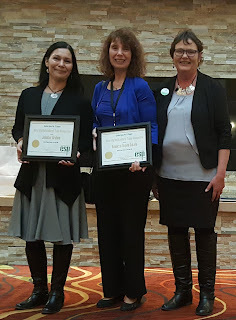 The Diversity Multicultural Team Award is given to the “Teaching American Indian youth Financial Education using Traditional Storytelling as the Framework” team. This team is using an innovative approach in the development and delivery of non-conventional financial education where lessons were created using culture as the framework, resulting in meaningful culturally appropriate education. The youth indicated in evaluations they could relate to the traditional stories and could connect the topics to their everyday lives. The team has presented their work on this project in Minnesota and nationally. 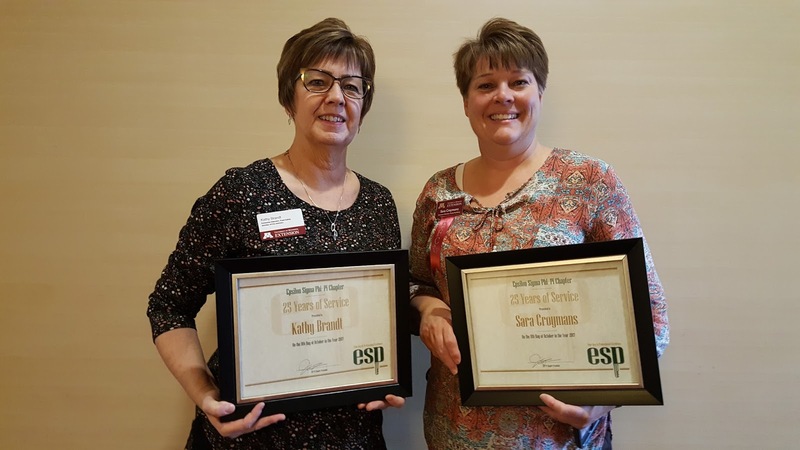 Congratulations to Jennifer Garbow and Becky Hagen Jokela. Distinguished Team Award - When it comes to teamwork and the commitment needed to make a difference, this team has done it well. The team working on the effort: “Keeping Youth Safe: Risk Management for Volunteers” has had a significant reach. 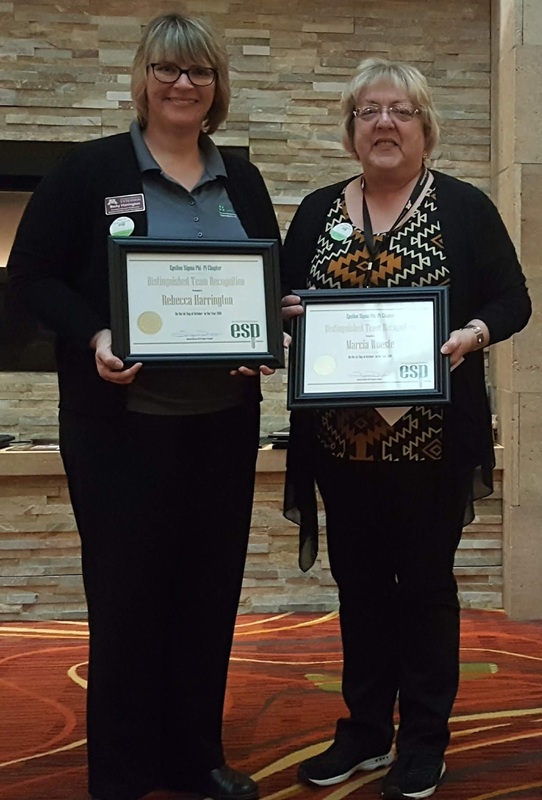 The 4-H Youth Development “Risk Management for Volunteers” Team developed, implemented and evaluated a plan to prepare Minnesota 4-H’s volunteer corp to manage risk when working with young people. The key to volunteer readiness was preparing staff to train and support volunteers as they created and carried out risk management plans. This team used the work of an earlier team who reviewed and made changes to the MN 4-H YD risk management practices and updated resources and trained YD staff across the state. The Risk Management for Volunteers team then took those resources and created a suite of tools and training for volunteers and to ready staff to train volunteers. What a great example of teamwork that prepares and equips volunteers to keep youth safe in 4-H programming. Stephanie O’Donnell is the recipient of the Pi Chapter Meritorious Support Service Recognition award. Stephanie is a customer data management and integration professional in Extension Technology and works with the registration process. She consults and works with educators to develop and streamline registration systems for their programs. She provides clarity and finds solutions to registration issues and provides superb customer service by responding quickly and professionally. 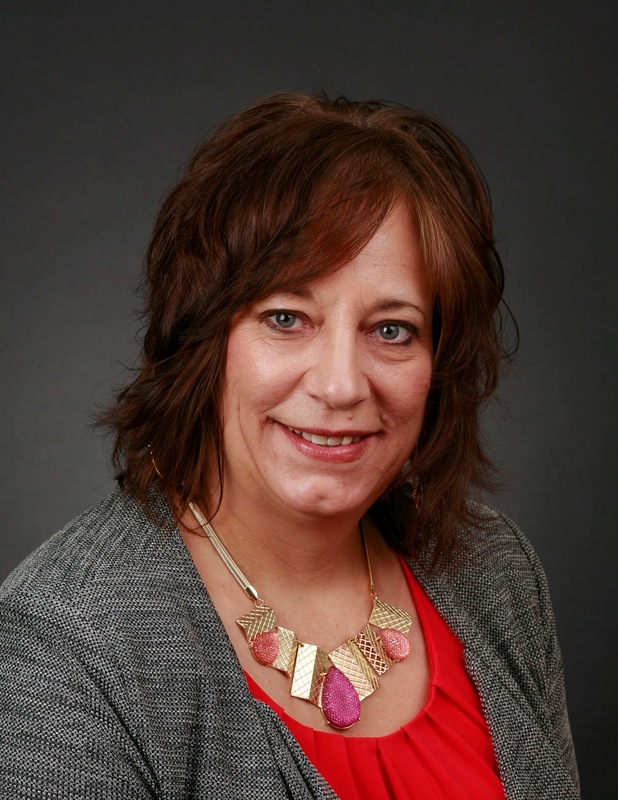 Stephanie is committed to supporting Extension professionals so they can carry out educational programming efforts seamlessly through online technologies. Thank you Stephanie for making online registrations work so well! Apply for awards online here. Hover your mouse on the award category headers (above the title Recognition Forms Submission Website) for a drop down list of awards. Select and complete the appropriate award. The form requires the email of the Chapter Recognition Chair in order for the recognition chair to receive a copy of your completed application form. My email address is: kharries@umn.edu. 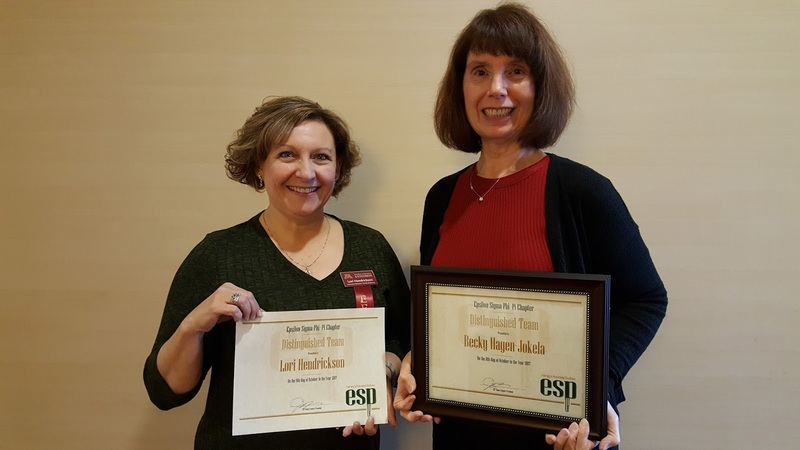 The Distinguished Team Award is designed to recognize outstanding efforts of Extension staff teams for responding to and incorporating into a specific educational program one or more critical issues. Parenting in the Age of Overindulgence Online Course was developed by a multidisciplinary team from the Family Development Center. The course was developed for parents, childcare providers, teachers, caregivers, and professionals with an overarching goal to increase self-awareness and self-efficacy needed to reduce parental/caregiver overindulgence and provide educational information, strategies and tools in an easily accessible and effective online format. Results from the first year of this coarse revealed that the course post survey had 72 respondents. Ninety-five percent of the survey participants were proficient in correctly identifying examples of overindulgence. Ninety-four percent of the survey participants indicated the “Test of Four,” a tool to recognize overindulgence in a given situation, would be useful in assessing overindulgence when applied to their life circumstances. Congratulations to members of the Parenting in the Age of Overindulgence Online Course team: Becky Hagen-Jokela, Kelly Kunkel, Ellie McCann, Jean Illsley Clarke, and Lisa Krause. 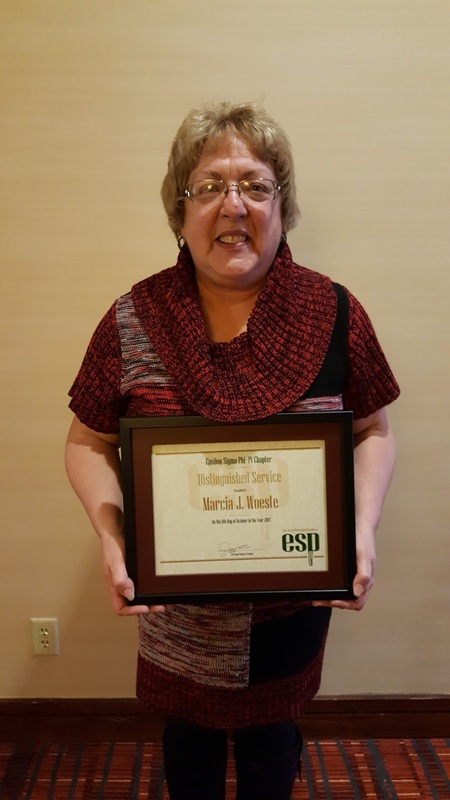 This award is designed to recognize continuing contributions and outstanding service by retired Extension professionals. This year we recognize Diane Damerow. Diane helps to coordinate the SE MN Retiree groups with Marian Anderson. They keep track of the names and emails of all the retirees in the region and schedule twice a year gathering of the group. In addition Diane is very active with her local hospital auxiliary and serves on the Statewide Hospital Auxiliary Board. Congratulations, Diane!